UPDATE- Vivo Nex S is the Snapdragon 845 variant with the in-screen fingerprint scanner whereas the Vivo Nex is the Snapdragon 710 variant with a rear-facing fingerprint scanner. Vivo is launching its flagship device on June 12, the Vivo Nex. We have seen a lot of official teasers, leaks, rumours etc. in the past and one thing that we know so far is that it is coming with a bezel-less display without a notch. This is something we hardly see these days on Android smartphones. Recently, Lenovo Z5 launched with a notched display, and it was not expected since the company teased a phone with a full bezel-less design. 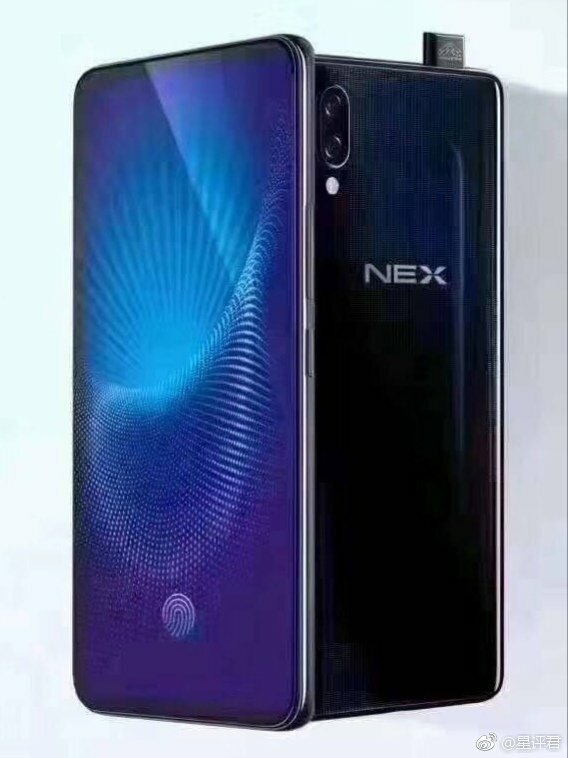 We are expecting not to see the same with the Vivo Nex and looks like Vivo isn’t going to disappoint after all. 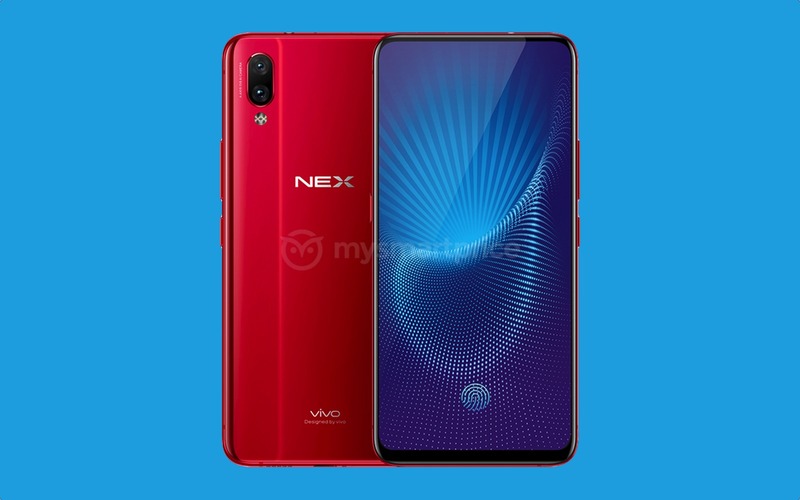 Today, the official press render of the device was leaked along with the full spec sheet, revealing that the Nex is going to be a great flagship device from Vivo. 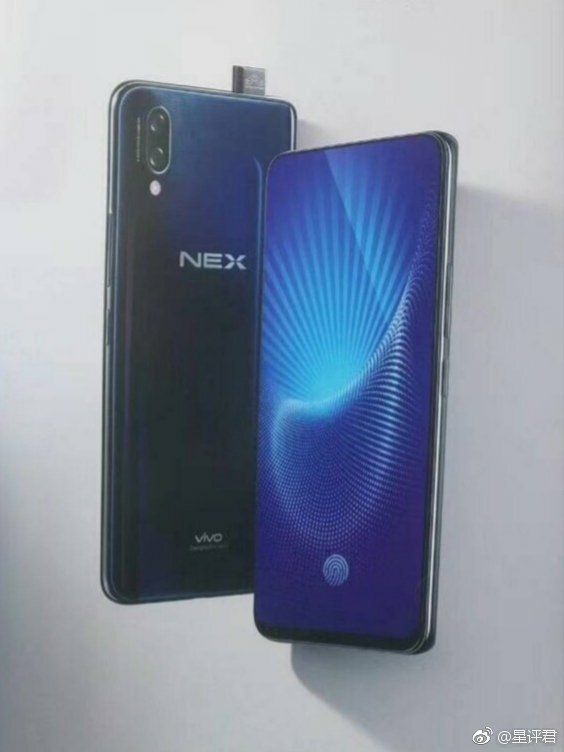 As the official render above shows, the Vivo Nex S has an in-screen fingerprint scanner that we have seen in a couple of Vivo phones in the past. The screen is almost bezel-less with a bottom chin and no notch at all. It is good to see Android manufacturers starting to launch bezel-less devices without any notches. We guess the screen-to-body ratio to be above 90%, which is impressive. The volume rockers and power button are present on the right side. Also, the phone features all the ports, as the USB Type-C port is on the bottom and 3.5mm headphone jack on the top. There is a vertical dual rear camera setup, just like a lot of recently launched Vivo devices. 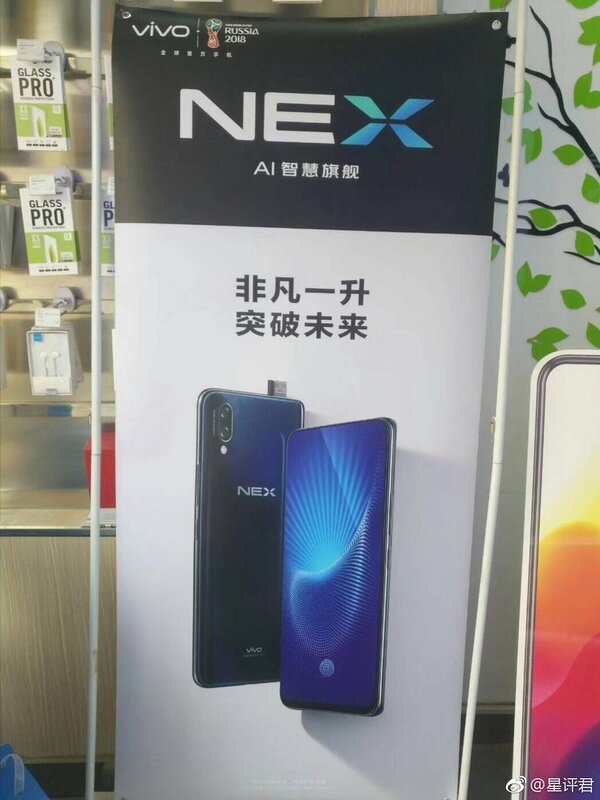 One of the unique things about the Vivo Nex regarding the design is that the front camera will pop up from the top of the phone when needed. It is similar to the one on Vivo APEX. 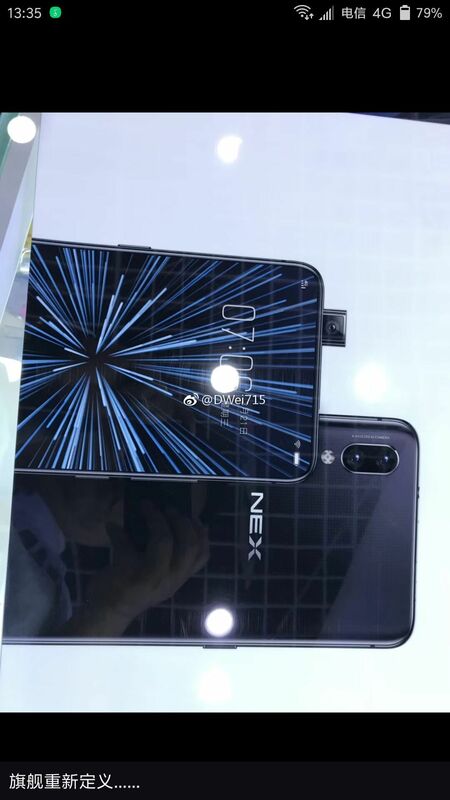 The Vivo Nex is coming in two variants – one with the Snapdragon 710 (Vivo Nex) and other with the Snapdragon 845 (Vivo Nex S) . Both the variants feature a 6.59-inch FHD+ display with a resolution of 2316×1080 pixels. 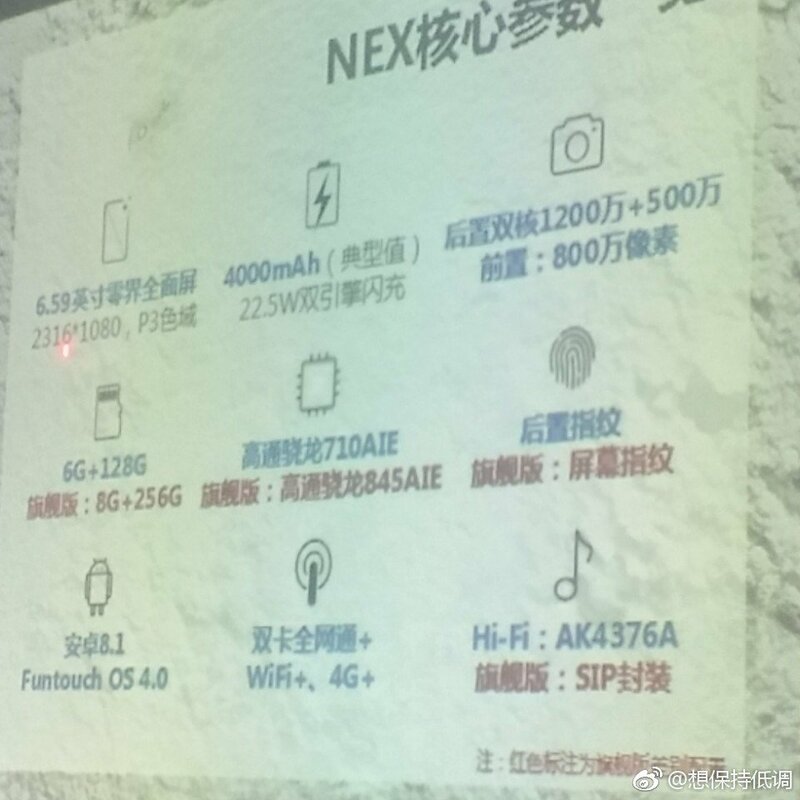 There is a huge 4,000mAh battery under the hood, supporting 22.5W fast charging via USB type-C port. There is 6/8GB RAM along with 128/256GB internal storage (6GB+128GB for SD710 and 8GB + 256GB for Snapdragon 845 variant). On the rear, the Nex has a 12MP primary camera and a 5MP front-facing camera. On the front, the phone has an 8MP camera. Android 8.1 Oreo runs out of the box with Funtouch OS 4.0 on top. HiFi AK4376A is there for better Audio output. The launch is happening on June 12 so stay tuned to DroidHolic for more news.